The power of the oak is in the acorn! "Then, Lord," Simon Peter replied, "not just my feet but my hands and my head as well!" (John 13:10). Something inside us makes accepting Jesus' grace hard for us: "Surely there's something I must do to deserve this?" Like Peter, we feel like we have to deserve his gifts or we shouldn't receive them. Or, we think we can get even more of Jesus' grace by being better, being more committed, or working harder: "What can I do to get more of what you are offering Jesus?" What can I do to be assured this presence of God is with me? What's the secret to ensuring this presence is a part of my life, especially when I can't seem to find evidence of his presence right now? Is there something I can do to notice God's presence and make it more recognizable so I can be sure it's really mine? My answer to these questions? "The power of the oak is in the acorn." We can't make an oak tree. The power to make an oak tree is found in the acorn. We can provide a good environment for the acorn to grow, but a towering oak tree begins with an acorn. That acorn provides the DNA and all that goes into making that tree all that it can be. 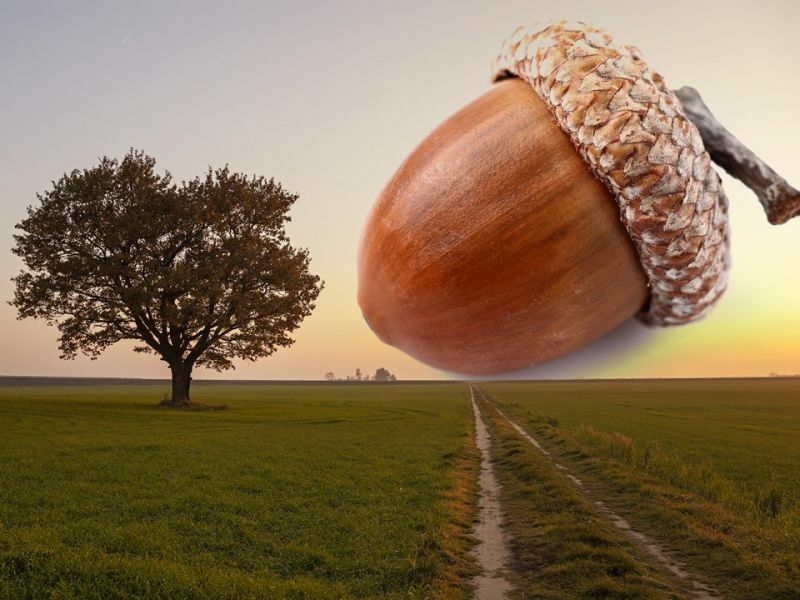 We can provide the right soil, the right moisture, and the proper amount of sunlight but if we don't have the acorn, we're not going to get an oak tree. Our assurance that the Lord will be present with us isn't tied to our ability to deserve God's presence, to acquire his presence, or to achieve enough so that we are owed his presence. The power to experience the Lord's promised presence resides in "The Promiser" not in what we can do to make the promise happen. God promised he would be present with us. God is faithful. God keeps his promises. Rejoice in the Lord and what he has done for us. Pray regularly, always including thanksgiving with our requests. Think on good, wholesome, beautiful, and holy things. Put into practice what Paul teaches. These are all good, life-giving, spiritual practices. We do them because they are attributes of a true follower of Jesus. We do them because they are good to do. We don't do them to force God to honor his promises or to manipulate the LORD into owing us his promised presence. God is sovereign. What we do can't manipulate God into anything. However, when we do these spiritual practices, our hearts are more open to recognizing God's work in our lives. 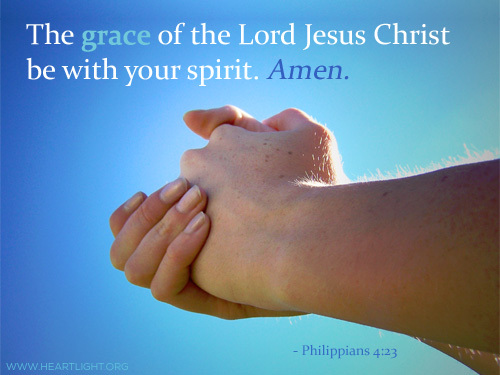 They help us become conduits of his grace — the grace he wants to share with us and share through us. God promised us his presence because he loves us and longs to be in relationship with us. 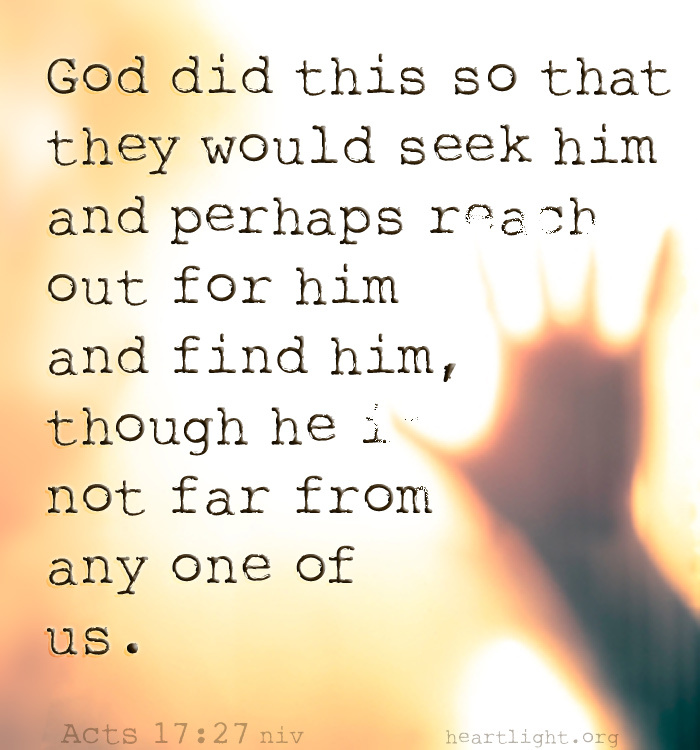 This longing to be in relationship with us is a key theme throughout the story of the Bible. It begins in the Bible's earliest chapters as God "walked with" his human children "in the cool of the day" (Genesis 3:6). He shares his presence with us out of his love and grace for us. It is a gift God longs to give us. It is rooted in his desire to know us and be known by us. 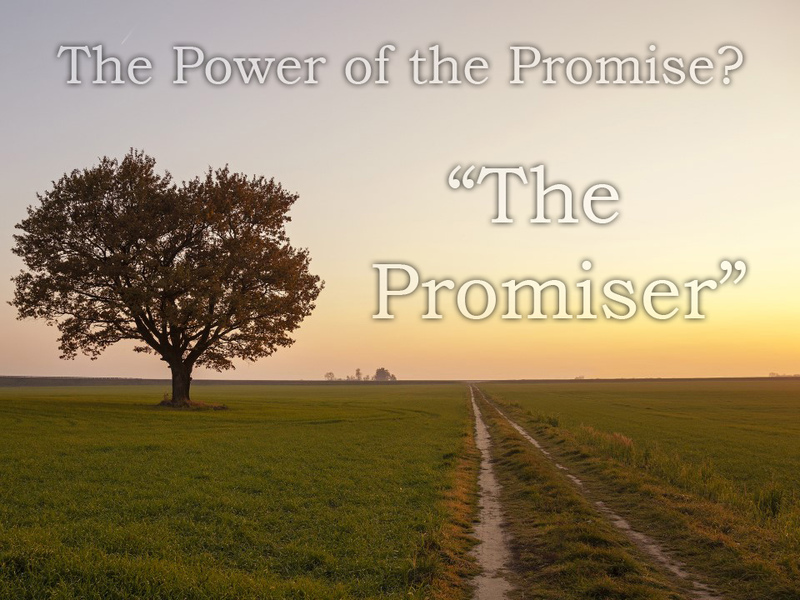 The power of the promise is in "The Promiser"! So... let's trust in the Almighty's love and grace knowing that the Lord's presence is near! As a response to that love and grace, let's also provide the right soil for his acorn of grace to grow. When we do, we will discover the blessing that our Lord is near and his presence will never leave or forsake us (Hebrews 13:5)! The power to experience the Lord's promised presence resides in the "Promiser" not in what we can do to make the promise happen! "The Lord is Near: Acorn" by Phil Ware is licensed under a Creative Commons License. Heartlight encourages you to share this material with others in church bulletins, personal emails, and other non-commercial uses. Please see our Usage Guidelines for more information.